WWE honors the Superstars and Divas who left an indellible mark on its landmark 50th year, at the 2013 Slammy Awards. Who'll take home the coveted Slammy for Superstar of the Year, Match of the Year, and others? 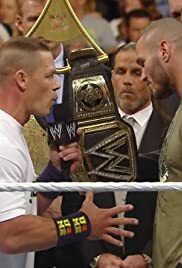 Plus, 20 former WWE and World Heavyweight Champions converge for an ascension ceremony in preparation for John Cena and Randy Orton's showdown to decide the Champion of Champions at TLC.